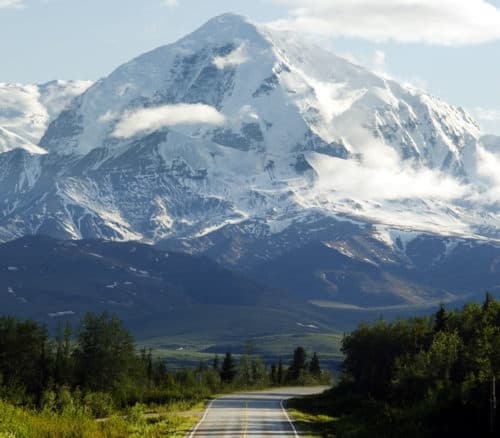 For most travelers, the best time in the year to get to Alaska and see the Northern Lights would be during the months of October and November in the fall and during March in Spring. 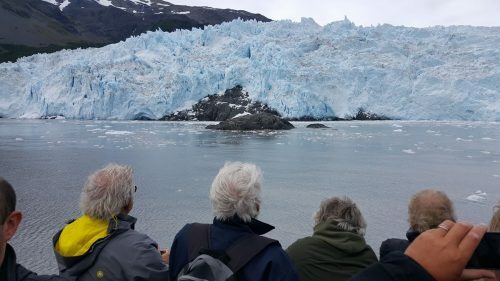 In this post, I’m going to explain everything you need to know about when to come to Alaska to see the Aurora Borealis and give you some tips about location as well. And yes, we did get to see them ourselves. In September! More on that later. First, let’s get you the information you need. 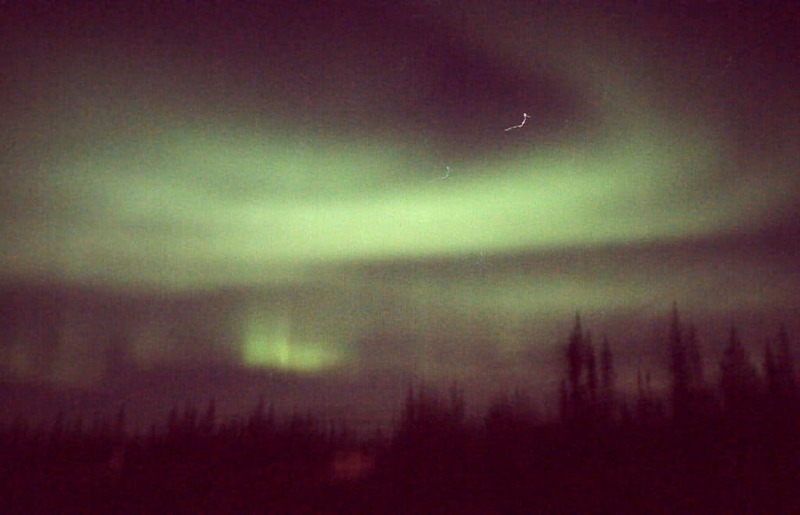 Why should you try and see the Northern Lights when in Alaska? Seeing the Northern Lights should be on everyone’s bucket list. 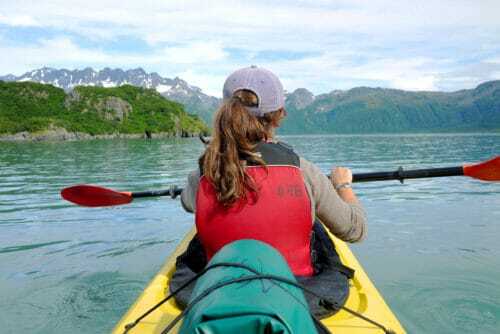 For Americans – and visitors to the United States – Alaska is an easy choice when it comes to this particular activity. After all, the furthest up north you go, the more likely you are to see the sky lit up with an Aurora Borealis show – and Alaska is as further up north as you can get in the US. And trust me, it’s worth making the extra effort and planning your trip according to the best times in which you can view the Northern Lights. Once you see them, you’ll be mesmerized. We’ve traveled across the US and Canada for a total of a year and a half, visited so many wonderful places and seen so much and yet, seeing the Northern Lights will easily get into our top 3 amazing experiences. The four of us standing there, in the cold night, sharing a divine view of fluorescent green flames dancing across the dark sky – that’s something we’ll cherish forever. Ok, enough of that – back to the question at hand. When does the Aurora Borealis actually take place? Despite what many people think, the Northern Lights “happen” throughout the year. The phenomenon is caused by sunspot activity. Particles generated by sun flares go shooting through space and hitting the atmosphere. When these electrons hit the atmosphere near the poles – both northern and southern – they interact with gas atoms creating that beautiful dance of lights. Clearly, our sun is active all year long. In fact, it’s entirely oblivious to the seasons we experience here on earth. Winter and summer are a product of the earth’s rotation around the sun – affected by it but not affecting it. Whenever the surface of the sun is more active, generating flares that shoot out these masses of electrons – they’ll get here and interact with the atmosphere. Potentially creating the Aurora Borealis. So, why can’t we see it during the summertime? In order to see the Northern Lights, you need a dark sky. The darker, the better. On a different night during our trip, there was a forecast that sent us out to the fields near the town of Fort Nelson, looking for the Northern Lights. We got there before it got dark and it was interesting to see how you could actually discern some activity in the sky if you tried. It wasn’t impressive but it was clearly happening. So, as a traveler – you need to seek a dark sky night in order to get the best view of the Northern Lights. What months is it dark in Alaska? While parts of Alaska are in the Arctic Circle, you will most likely not be heading out there. 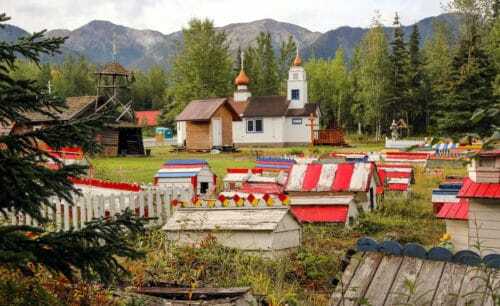 Anything north of Fairbanks, Alaska, is difficult for the average traveler to reach. 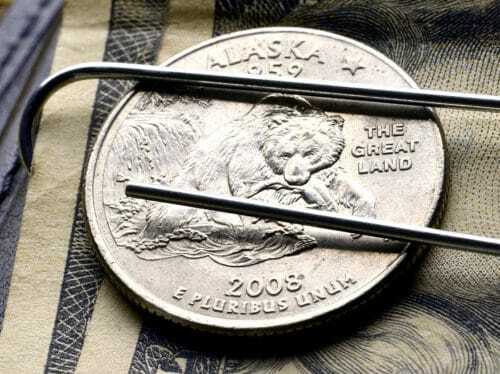 So, let’s talk about the two main destinations in the state: Anchorage and Fairbanks. And if you want to visit Denali National Park to see the Lights, it’s in the middle between these two cities, so just average out the data. The closest you get to December 21st (the shortest day of the year) the darker it gets. The closest you get to June 21st (the longest day of the year). The further up north you go – the more significant the difference during winter and summer. Since you want to maximize on dark hours, you would think the best time in the year to travel to Alaska for “Lights Chasing” would be December. If you’re a fully-equipped professional photographer whose sole purpose is taking the best possible shots of Aurora Borealis in Alaska. 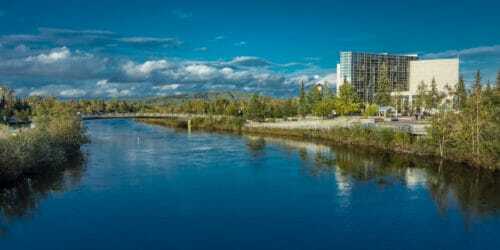 And since we mentioned the two cities, if you’re going there, you may also want to check out my posts about the best things to do in Fairbanks and the best things to do in Anchorage. 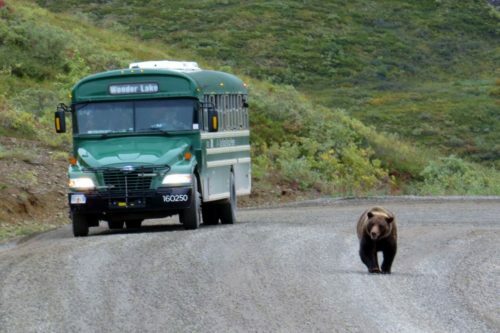 For most travelers, winter is not a good time to be visiting Alaska at all. 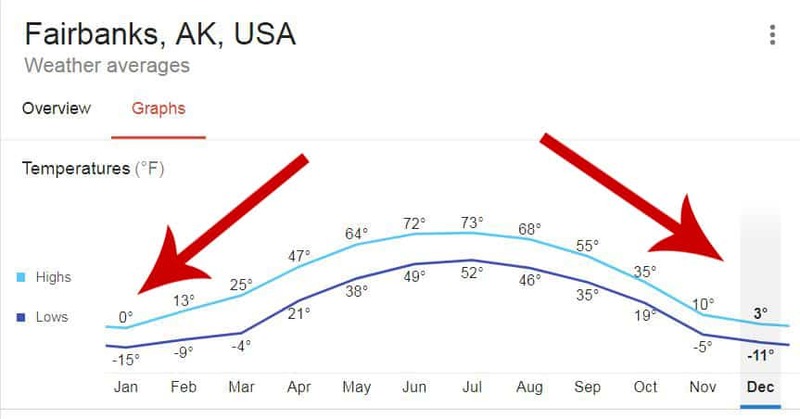 During December and January, temperatures rarely get above freezing in Fairbanks. In fact, they’re usually under the zero mark. Yup, in Fahrenheit. For those of you who are thinking in Celsius, we’re talking about an average low temperature of -25 degrees and an average high (middle of the day) temperature of -17. That’s cold. So cold, that if you don’t know what you’re doing, you could easily die of exposure. 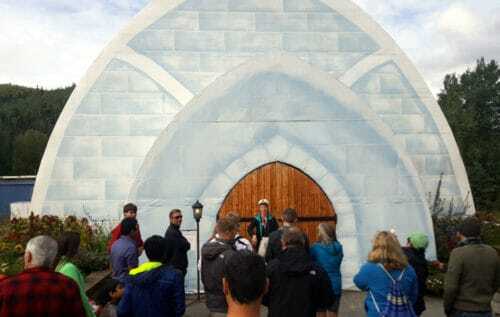 Most tourist attractions will be closed to visitors. When you have no visitors – why open up? It’s going to be depressingly dark. Did I mention how cold it gets? By the way, I didn’t mention hotels because as far as I can see, winter is actually a great time to visit in that respect. More availability which means lower prices. If all you want to do is see the Northern Lights – and nothing else – and if you’re prepared to face the sub-Arctic winter, then this would be an option. Just make sure you’re really and actually prepared. Not just mentally. In terms of gear too. Experts agree that the best months for viewing the Northern Lights in Alaska are during fall – October and November – and very early spring – March. These months offer a solid compromise between a great chance to get a very dark sky in reasonable hours and temperatures mere mortals – not just Alaskans – can withstand. It’s still going to be cold. 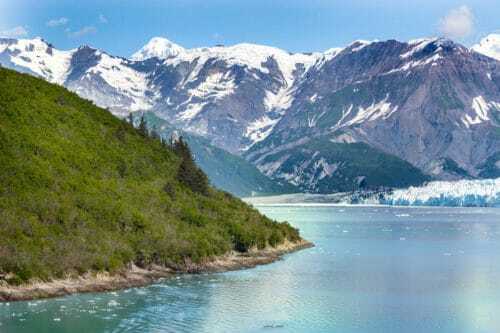 Alaska can get cold even in summertime, let alone during fall and spring. The closer your dates are to actual winter months, the darker the sky and the colder the days and nights. In that respect, October is slightly better than March and November. Can you see the Northern Lights in September? Yes, you can! I know because we have! We had a fantastic display of the Northern Lights on September 1st! I didn’t know that was possible so it took us by surprise but there you are – it’s doable. Technically, we weren’t in Alaska. We had just crossed the border into the Yukon, on our way back from driving to Alaska. We stayed at this little motel in the hamlet of Beaver Creek. 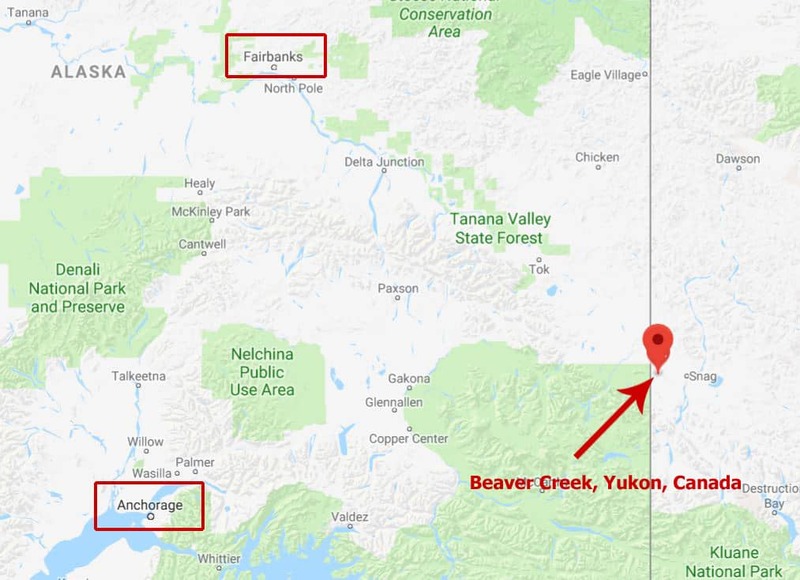 This is where Beaver Creek is – it’s north of Anchorage and south of Fairbanks, so a typical Alaskan night sky, really. By 11PM we were all settling in in our beds and my husband was about to draw the curtains when he noticed a strange green glow in the sky. Sure enough, that was it! We grabbed our jackets and some blankets and hurried out to the car. We drove for about a mile, just to get out of the few lights of Beaver Creek, and then pulled over. For the next half an hour, all we could do was admire the show. I never imagined I would want to photograph the Aurora Borealis during our trip, so I wasn’t prepared. All I had was my phone and all I managed to do was set its camera on a second-long exposure. So, my apologies for the quality of images but I think you can tell what an awesome display we had. So, yes, it’s doable. You can see the Northern Lights in September. Since this was September 1st, it’s safe to say it’s doable in August too. Honestly, that was sheer luck. We weren’t even following the solar activity forecast or anything. We just didn’t think it was possible to see the Northern Lights that time of year and we were so thrilled to be proved wrong. Once we saw the light – sorry, couldn’t resist! – we wanted more. We still had a long drive along the same longitude more or less – so why not catch another light spectacle? That’s when I started researching and found out more about how to tell when the best time is for watching the Northern Lights. 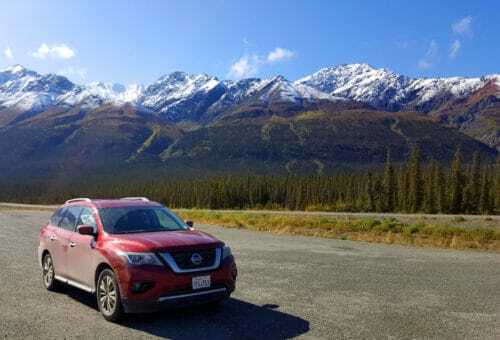 If you want to read more about our trip, check out my post about driving to Alaska and back. Yes, several institutes generate forecasts for Aurora Borealis activity. That’s what we did next – followed the forecast. And guess what – it didn’t work that well. Over the next few days, there were alerts for high activity and while we did stay up and watched – we didn’t see much. 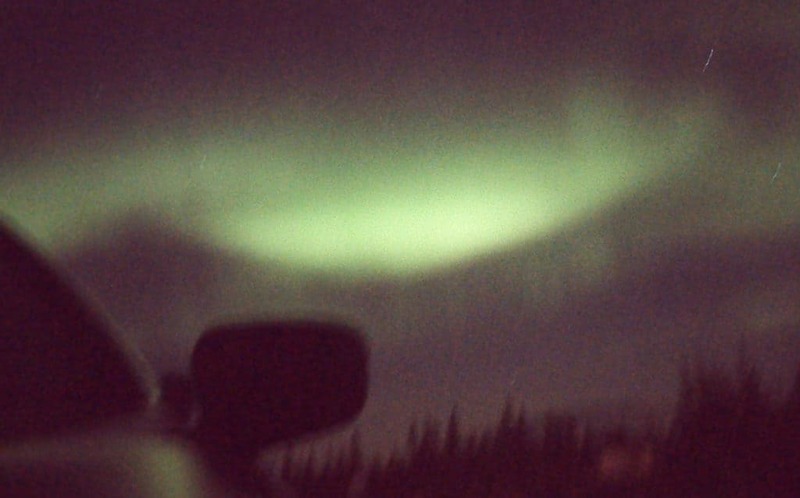 On one occasion, near Fort Nelson, in Canada, we could see faint traces of the greenish lights in the night sky. It was nothing compared to what we had seen in Beaver Creek. So, I think following the forecast isn’t a bad idea. We only sampled it for a few days and maybe it’s better than that. Just don’t get your hopes too high from reading it and – more importantly – don’t give up on looking for the Northern Lights regardless of the forecast. Just go to Alaska and try to hit the shoulder seasons to get the best possible chance of viewing the Northern Lights. it seems that you enjoyed your trip a lot, even next month me too going there for family trip. 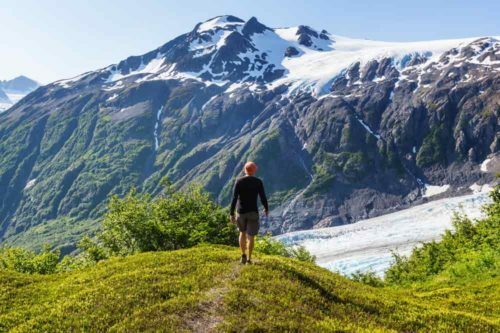 This article very helpful to understand what should we do at alaska. Thanks for sharing good trip experience.